Coro del Teatro alla Scala, Orchestra del Teatro alla Scala / Valery Gergiev. Stage director – Mario Martone. Teatro alla Scala, Milan, Italy. Sunday, March 24th, 2019. 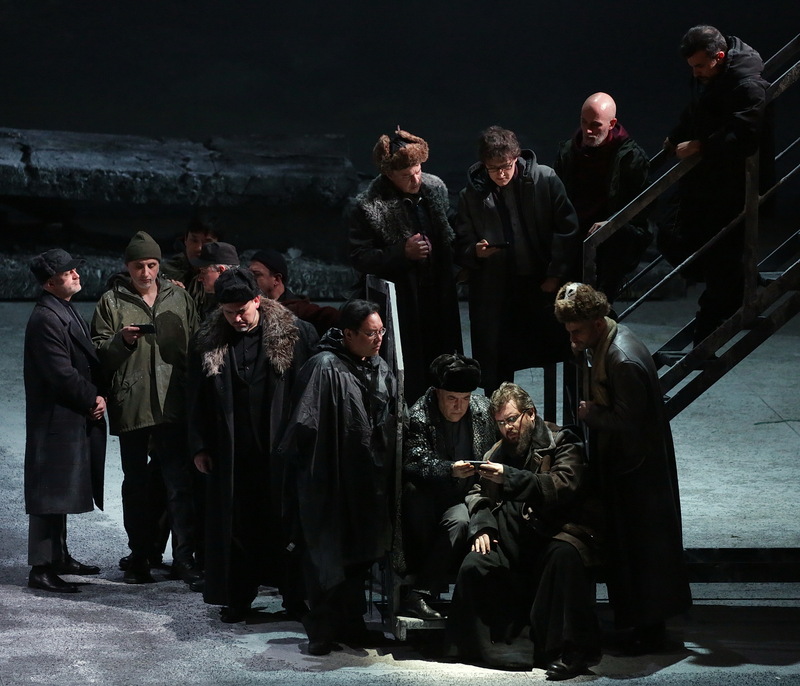 The complicated power relations that run through Khovanshchina make it both a fascinating but also, what can be in the wrong hands, a somewhat impenetrable work. 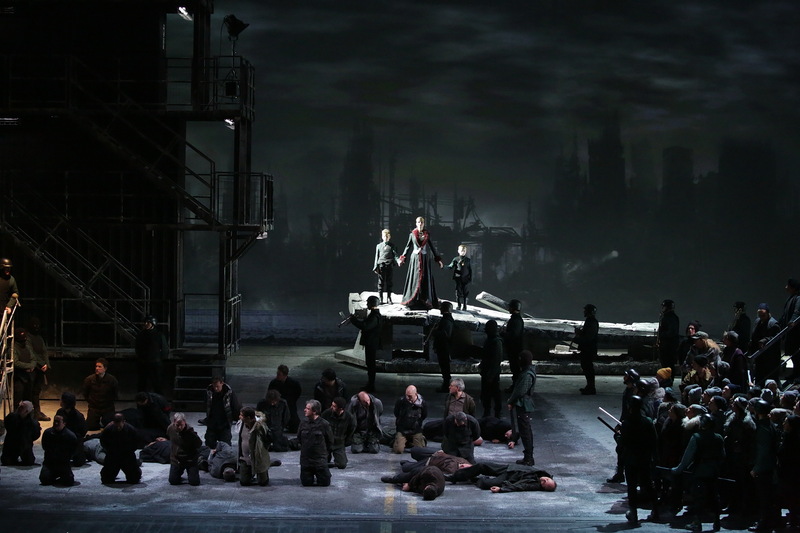 For its first new production since 1998, the Teatro all Scala confided the piece to the experienced Italian film director, Mario Martone, and imported a cast of almost exclusively Russophone principal singers. The conductor was Valery Gergiev, who also led the performances eleven years ago. As might be expected, Martone gives us a very visual staging, creating some extremely memorable stage pictures. Martone’s staging is clearly the work of an artist with a great visual imagination who knows precisely how to use the tools at his disposal to create a theatrically compelling spectacle. The curtain rose an urban wasteland, a place clearly recovering from trauma, where the old rules no longer apply. Over the course of the next four and a half hours, Martone and the cast take us into a futuristic vision of dystopia, where shadowy figures wield great influence and where leaders who appear powerful, actually have no power at all. 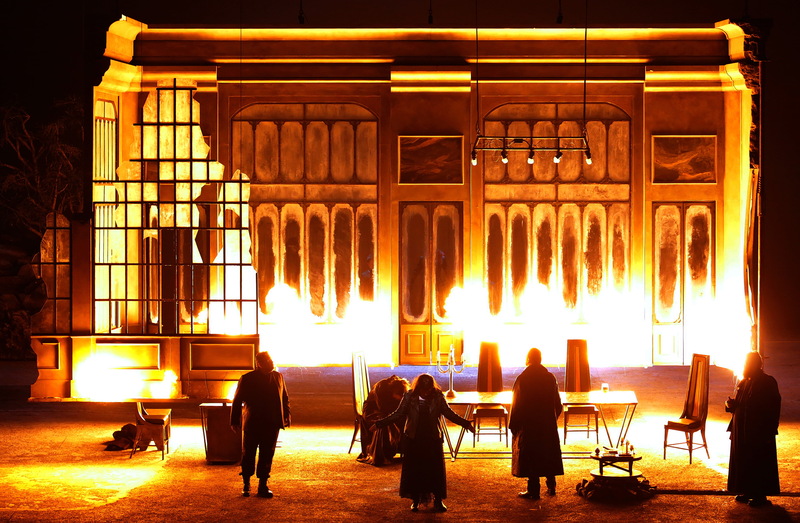 The sets (Margherita Palli) are seriously impressive – from the wreckage of an overpass in Act 1, to the villa in Act 2 that goes up in flames. The thread through the evening is the video backdrops by Italvideo Service. Whether providing images of bombed-out shadows of buildings in the distance or flying birds that Ivan tried to shoot at, they provided some extremely striking backgrounds and contributed to making those stage pictures so memorable. Where Martone succeeds is in transforming this quite complicated story into a coherent theatrical narrative, even if along the way some of the personenregie might feel perfunctory. For such a visual staging, it must be admitted that there was some standing and delivering, with a fair bit of declaiming with arms outstretched and singing to the front. While there were moments in which the chorus was parked at the front, Martone also used this to create a most haunting image during the Act 3 prayer – the rows of people standing still during the poignant a cappella section was deeply moving. The presence of a mysterious woman, presumably the historical figure of the Regent Sofia Aleseyevna, assists in bringing an additional dimension to the narrative, reinforcing that idea of shadowy forces working behind the scenes. Similarly, the sight of Ivan greeting the crowds in handcuffs from a prison cell at the end of Act 3 adds an interesting idea – the idea that his desire to promote harmony among the people could have been the result of coercion. It certainly made the idea of Ivan being under house arrest in Act 4 one that felt especially convincing. Martone keeps a visual coup for the final scene. No spoilers here, but it did find several audience members pulling out their smartphones to photograph it. The vocal honours of the evening most definitely belonged to Ekaterina Semenchuk’s Marfa. It’s an ideal role for her and she coped admirably with what can be an awkward tessitura – from the fullness of her dark lower tones to the autumnal warmth of the middle, she crossed the registers with ease. Her native diction also gave much pleasure. Hers was a mystical figure yet still managed to reveal the hidden passions below. She was spellbinding in a remarkable closing ‘alleluia’, bringing the tone right back yet still managing the carry through the house. A most impressive assumption. 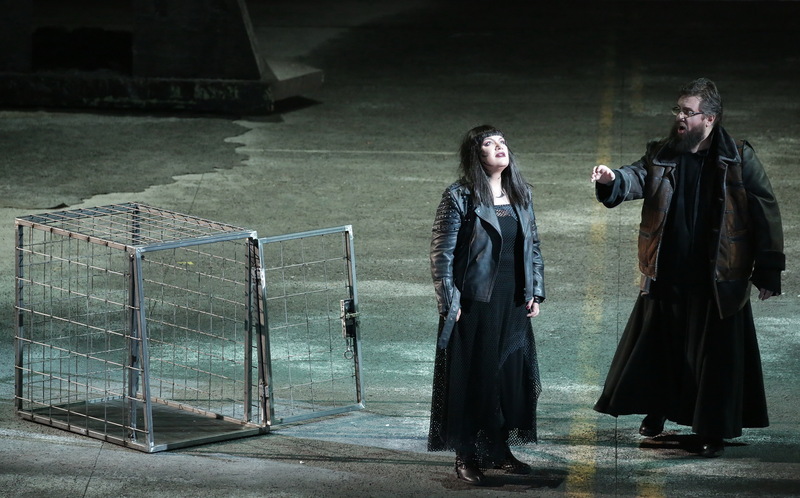 As the object of her affections, Sergey Skorkhodov brought a stentorian tenor to the role of Andrei. His tenor is somewhat narrow but still projects into the house in a beam of sound. As his father, Vladimir Vaneev, sang Ivan in a highly characterful bass. The vibrations loosened slightly under pressure, but he was a highly engaging stage presence, gamely fooling around with the nubile Persian slaves, here some highly agile, scantily-dressed danseuses. Evgeny Akimov was a robust Vasily. His tenor was big and hefty, although his acting was rather rudimentary with a fair bit of impassioned raising of fists to the air. 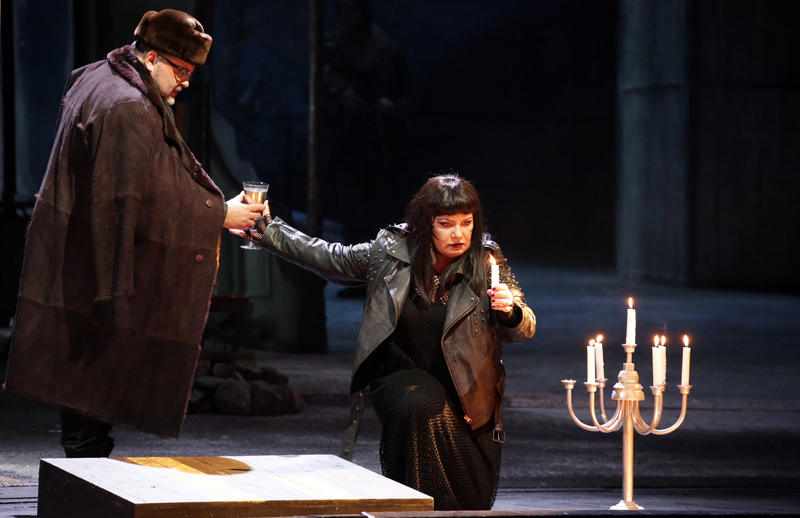 Stanislav Trofimov brought a bass of liquid beauty to the role of Dosifey. He phrased his music with dignified tenderness, the tone full of complex depth. Evgenia Muraveva was an extrovert Emma, the voice vibrantly chalky although the tone didn’t quite sit on the note. Irina Vashchenko was a youthful, even glamourous Susanna, sung in a raspy soprano. I was also impressed by Alexey Markov as Shaklovity. The owner of a firm baritone, with good size and even throughout the range, he also demonstrated an impressively smooth legato. The smaller roles were taken by members of the Accademia Teatro alla Scala. Lasha Sesitashvili’s Varsonfyev revealed a particularly handsome and resonant bass – certainly a name to watch. 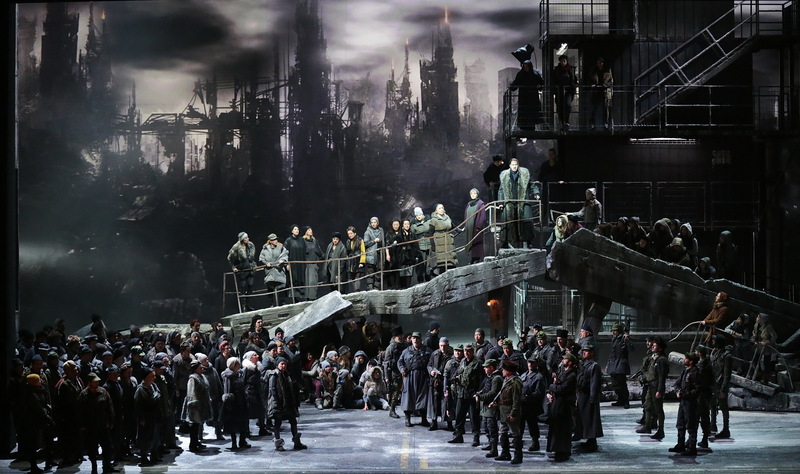 Khovanshchina is a big sing for the chorus and Bruno Casoni’s singers offered a mighty noise. Ensemble wasn’t always watertight and there were occasional internal disagreements over pitch, with individual voices sticking out on occasion. Despite that, they sang with genuine spirit and warmth, nowhere more so than in that unaccompanied Act 3 prayer, sung with soulful introspection, anchored in a profoundly resonant bass line. Similarly, the house orchestra took a little while to warm up for Gergiev. The ‘Dawn over the Moscow River’ sounded like the orchestra was still waking up themselves, with some rather approximate tuning in the strings. Gergiev brought out so much colour in the band – the menacing darkness of the low brass or the delicate phrasing of the ‘Dance of the Persian Slaves’. And yet, his reading felt inconsistent. Pacing had a tendency to sag, focusing on languor to the detriment of drama. Gergiev was greeting with a rousing ovation by the Scala public, so I may well be in a minority in this respect. On the whole, this was a compelling afternoon in the theatre. 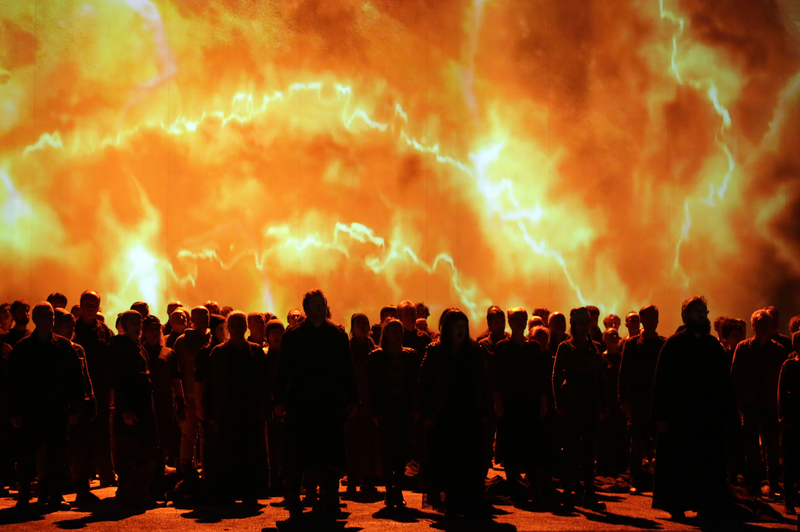 We were given a supremely intelligent and thoughtful staging of great visual impact. Martone had clearly thought through the work afresh and gave us a stimulating theatrical argument. While I did leave with some reservations about the conducting and some of the more classic acting styles of a minority of the cast, there really was much that gave a lot of pleasure. Particularly in Semenchuk’s superbly sung Marfa, Trofimov’s deeply resonant Dosifey and Markov’s solidly sung Shaklovity.